I'm bringing you another January Take 10 Kit layout today. 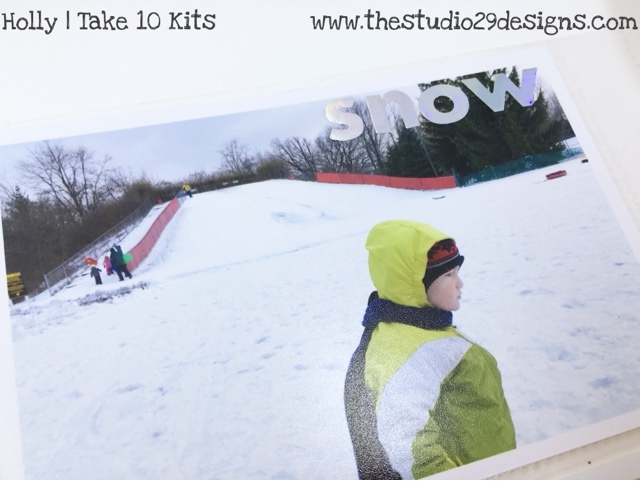 It's a great kit to document some snow fun! We haven't had many of these in Chicago this year. It's kinda weird to us. 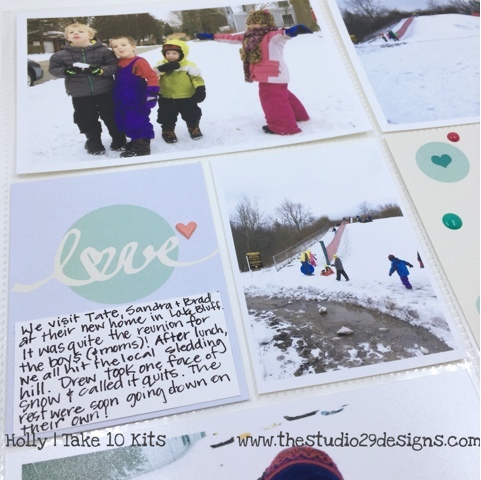 The last two year brought so much snow and this year we've hardly seen any yet! I stapled the big "today" clear word by Heidi Swapp to my 4x6 journal card. And added a small puffy heart from my stash. 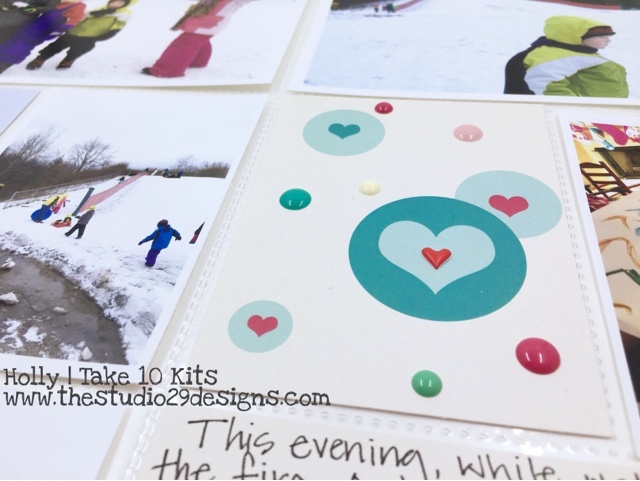 I liked the "love" filler card for this layout, so I turn it into a journal card by adding a bit of white cardstock. There's another puffy heart! 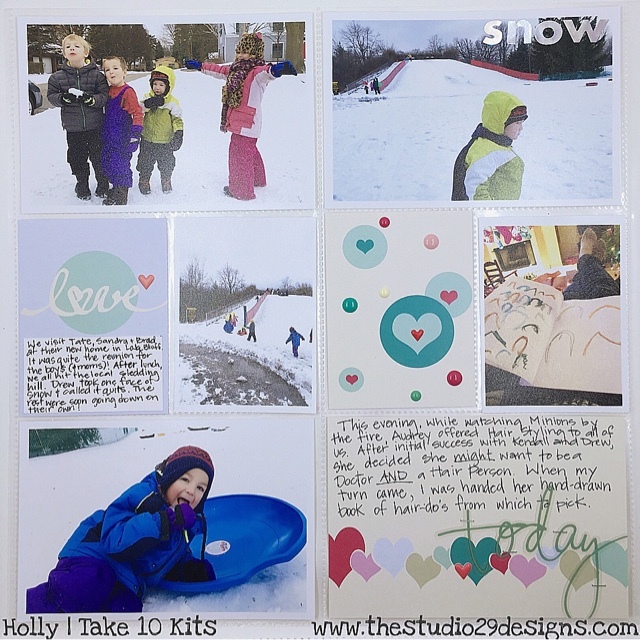 I did a simple title with this kits Studio Calico iridescent foil alphas, "snow", on the upper right pocket photo. Another filler card with those enamel dots and one more puffy heart from my stash! Below are affiliate links to items I’ve used in this layout. Happy Shopping! This is not the same Heidi Swapp Clear Word set I have, but close. Looks cute!